Food for Thought! : Colgate: Now that is called an Aggressive Strategy! Colgate: Now that is called an Aggressive Strategy! I was reading the news and views of Corporate Industry to keep myself updated on the strategies and policies. I came across an article about the launch of Oral-B toothpaste by P&G in India. P&G already has Oral-B brand tooth brush in India and with this launch they are entering the toothpaste industry. Now what was surprising and caught my attention was the article talked more about Colgate revamping its marketing expenditures and less about launch by P&G. Prabha Parameswaran, the MD of rival Colgate was the one watching it most closely. As soon as the launch was announced by P&G, Colgate was quick to respond in the market to ensure entry for Oral-B isn't as smooth as they expected. Colgate is market leader in Indian Oral care market. They could have waited to see the response Oral-B gets in the market. But Colgate doesn't believe in wait and watch philosophy. I also believe a lost ground is more painful to gain back than protecting and going aggressive especisally when we are talking about sensitive consumer industry like this one. Madhuri Dixit is roped in as brand ambassador for Oral-B toothpaste. 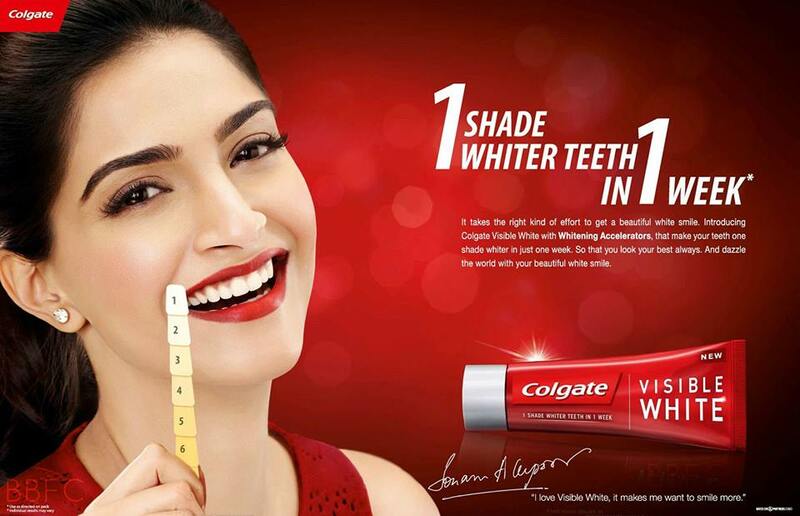 Colgate has hiked its advertising and promotion spends considerably during the first half of this calendar year. Company is roping in more and more Bollywood stars to promote their product because they know that is one of the best way to capture Indian mind space and influence their buying. It has bought more shelf space in retail outlets and giving better margins to shopkeepers. For consumers, buy one-get one free or money saver packs are introduced. The company is truly going aggressive and sending out the message that it is not a sleeping elephant in this market. In short run, this may possibly hurt margins for a quarter or two but that should be alright in the long run till the time company doesn't loose market share and give space to competitors. The company has done well when it faced competitions from Pepsodent and low cost Anchor brands. It faced similar situation in Brazil market where Colgate held around 80% of market share and Oral-B toothpaste was getting launched. The company adopted same policy and went aggressive to keep the new competitor at bay. For Oral-B, I think they should not take Colgate head on to start with. Colgate has around 55% market share in India but there is a good 45% with other players. It should slowly edge out the second and the third players and win space in large number of Indian bathrooms. It should then challenge the market leader having understood the market and people enough. fOoD fOr ThOuGhT: While P&G has all the resources, startegy and good brand in place - they are challenging the market leader. Colgate has been successful in maintaining its dominance in all the markets wherever it got challeneged by competitors but Indian market is always special and different to watch out for. This could an interseting contest. 'A bird in hand is better than two in the bush is a saying which must have moved the Colgate to launch such aggressive market strategy. Easwar: Very well said! Thanks for dropping by!